Fantastic service from the first call. Jason Chapman was attentive, professional, knowledgable and above all patient! I’m very fussy and nothing was a problem and solutions to every query. Got a great deal on my car and much more. Cannot recommend MVL more highly or Jason. Very professional outfit and I’m so glad that was put in touch with him as the process was smooth and trouble free. Very satisfied customer who can only highly recommend to other potential leasing customers. Easy to arrange and fantastic client service from start to finish. Nothing was too much trouble in regards to questions or additional support. It's the first time I've used MVL and I have already recommended them to a friend. Their quote was �£25 per month cheaper which over 4 years makes a material difference. Great communication and responses. Thank you for all the help in getting this order sorted. We are delighted with the new car and really appreciate your efforts. I will certainly recommend you to anyone I know looking to lease. MVL assisted with my vehicle requirement for a Skoda Yeti. I have been extremely satisfied with the service I have received from MVL who have always taken the time to answer all my annoying emails. Unfortunately price does matter and sometimes quotes can appear cheaper from other companies, but you always try and price match or tell me why the quote is cheaper (normally due to hidden costs…). I will always approach MVL for a quote if I am looking to lease a new vehicle. Thank you very much for your help and assistance throughout. Cheapest offer on the market and very easy to get everything sorted out. I will always be using you for my vehicles and passing your information on to family and friends for their car needs. Thank you very much. The service we have received has been first class. The communication has been excellent throughout the whole process; from the initial quote, to ensuring we are satisfied with our vehicle (which we are delighted with). They provided us with the most competitive quote and the whole process has been simple, stress free and very quick and efficient and we are recommending them to all our friends and family. I cannot praise them enough. They found me a fantastic car and at a very competitive price too. I was kept informed at every stage of the process and they were most courteous and highly professional. VERY HIGHLY recommended. I saw them on Twitter which is where I contacted them. They called me back and we had a chat about what was on offer, a day or two later they contacted me with a couple of offers they had and later came back with an offer for a Honda that suited me perfectly. Thank you for getting me what I wanted, speedily, efficiently, professionally and with a nice friendly attitude towards my needs. I now have the car I wanted and would like to thank them for all their help and speedy service. A well managed experience from start to finish. They delivered (on time) on all things promised and also managed my expectations realistically. 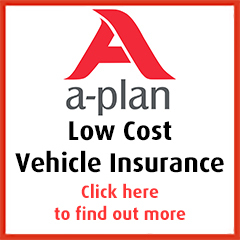 I would happily recommend them to anyone considering obtaining a new car on a lease basis. This is the 2nd time we have used them for our vehicles and yet again they have made sure they answered our vehicle needs and found us the best deal. I would always recommend them and will always get in touch when we need another vehicle. Thank you!